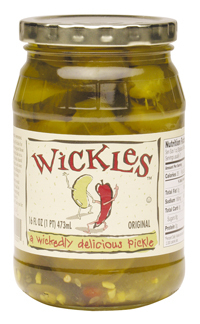 i love these wickles pickles. Wonderful sweet/sour pickles with a bite. Nice crunch, good with almost anything. These pickles are what Famous Daves want to be when they grow up! Wish I could find this product regularly in Kansas stores. It is the best tasting pickle and pickle relish I have ever had. Thanks, Mo Hotta Mo Betta! !